“GPA Disabled.” That was the first thing many students saw when they unlocked their phones one fall morning. Apparently, the number wouldn’t be visible until the end of the semester. Complaints immediately arose, with many students feeling blind without their grade point averaage. While many parents and teachers supported the change, the results will not be of benefit. Joyce Bell, a counselor at CHS, explained why the GPA was disabled in the first place. The disappearance of the grade point average did have a good reason behind it. The GPA of any student is nothing but a number until winter or summer break, and planning to enable it after each semester is a good idea in this respect. Putting learning first is a practice that everyone should follow, but that is not how the real world works. Many colleges use the GPA as a major determining factor, and that’s not going to be disabled. Students have a right to see directly what their GPA is, especially those close to graduation. 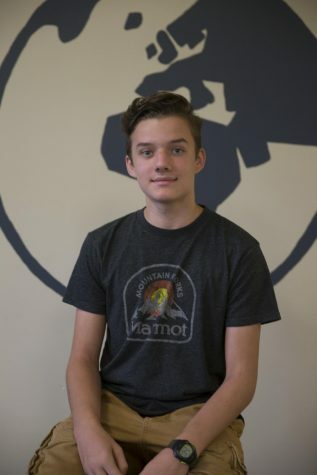 “We still have a GPA, just because we don’t see it doesn’t mean we don’t have it,” said sophomore Liam Redington. While it isn’t on PowerSchool, the GPA still exists, and it’s still important. In the real world, GPAs will be visible, but unchangeable. Students should be able to see and improve their GPAs while they still can, and disabling it does nothing to help. School officials may have shut down the GPA function to stop the stress that comes with constantly checking PowerSchool for your grade. However, the school is fixing nothing by shutting off the GPA. “There is such a competitive nature in Clayton that I don’t think that stress can ever be disabled,” said Nyssia Crandall, a CHS student. To many, removing the source of stress is a quick and easy solution to anxiety. But, the removal of the source of stress, called the stressor, can actually increase stress in children, according to the Child Mind Institute. If students are truly anxious and stressed about their grades, removing them from our daily lives is the last thing we want to do. Taking away our stressors now is subconsciously telling us that our future stressors will be disabled too, and we will develop bad coping mechanisms. I know the school has good intentions for disabling the GPA, and I know that many students are overly stressed about it. But, in the long term, a hidden GPA will hurt more than help.